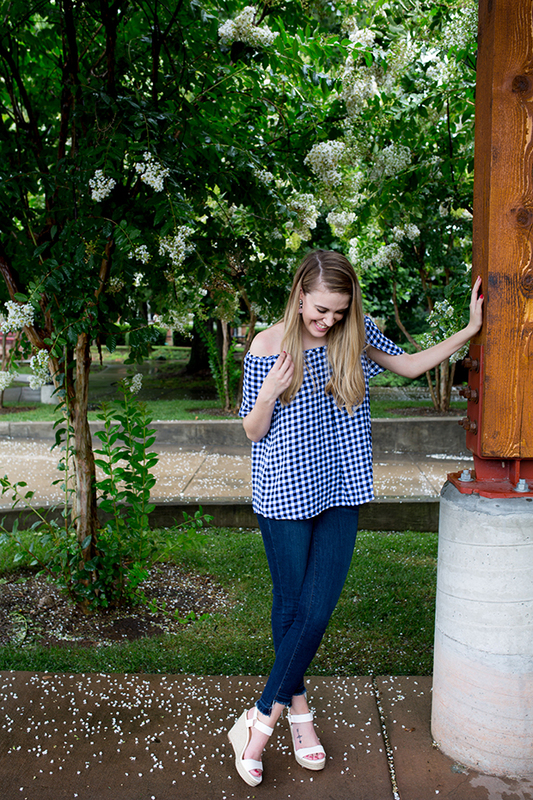 I adore gingham. 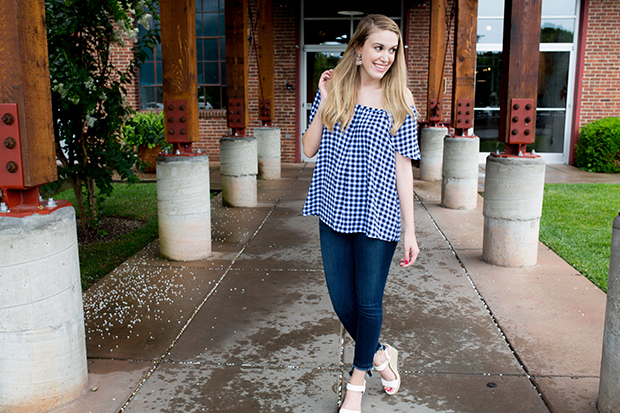 It's probably one of my favorite prints for summer! 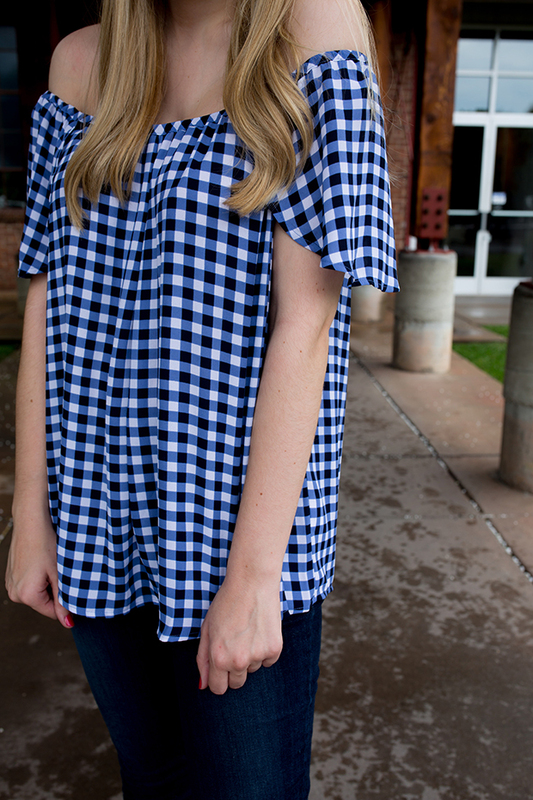 Plus, there is just something so classic about bright blue gingham. 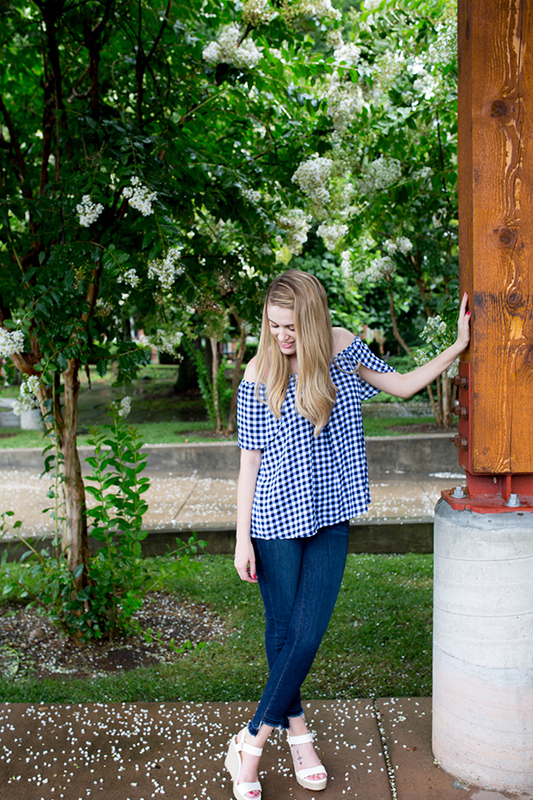 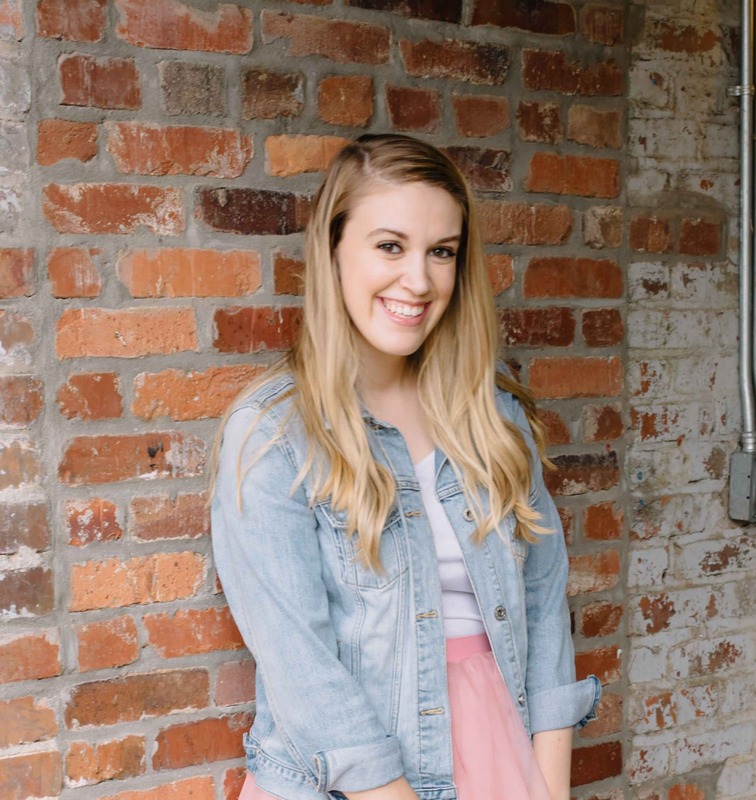 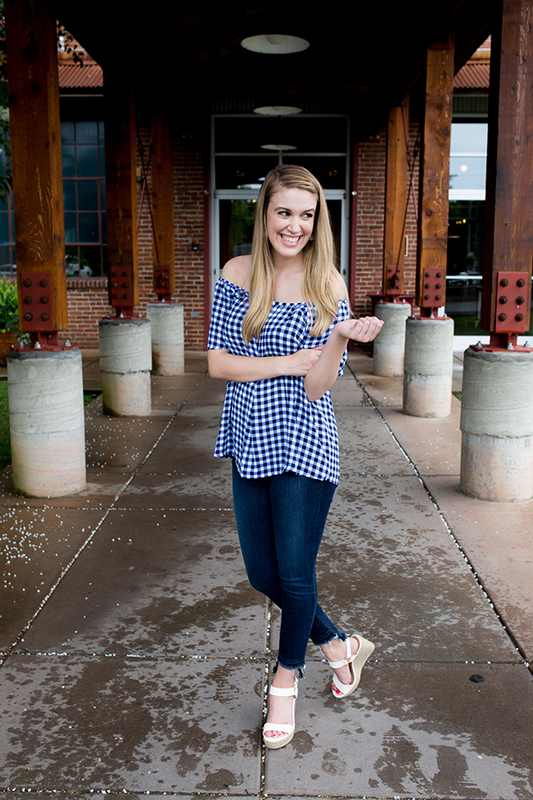 I snagged this top on sale last summer, and it has been a staple ever since. 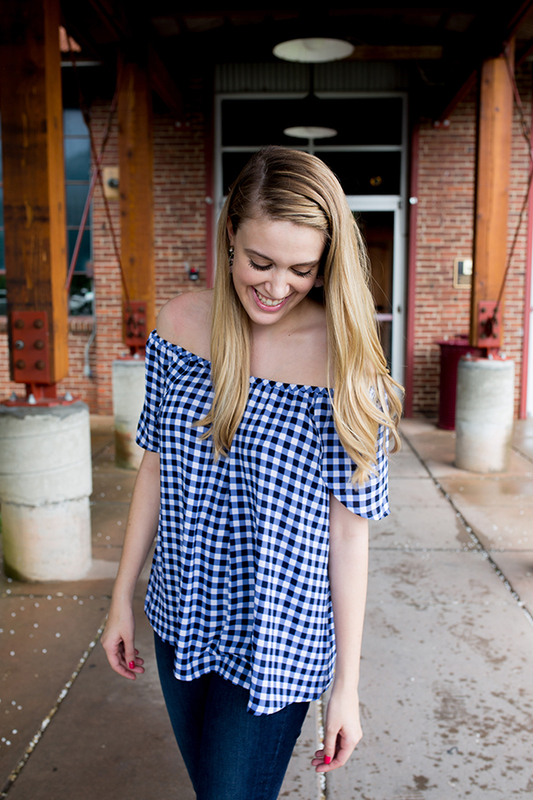 Combining the classic of the print, with the trend of off the shoulder tops. 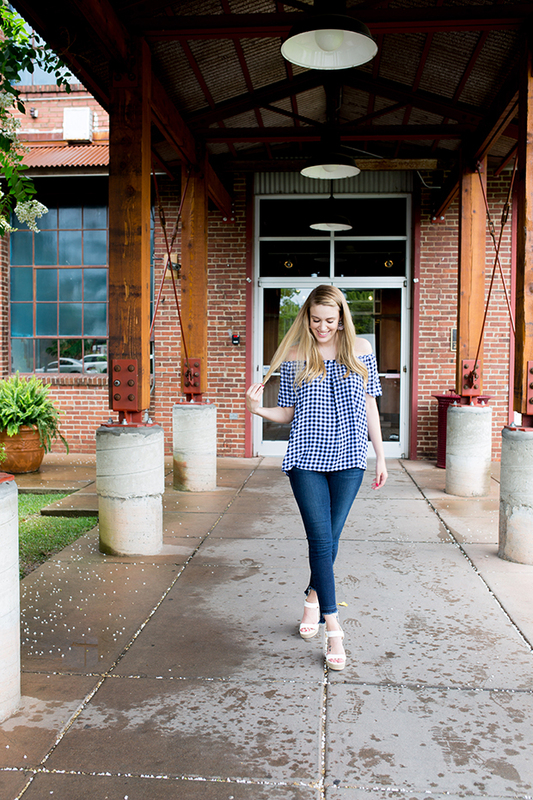 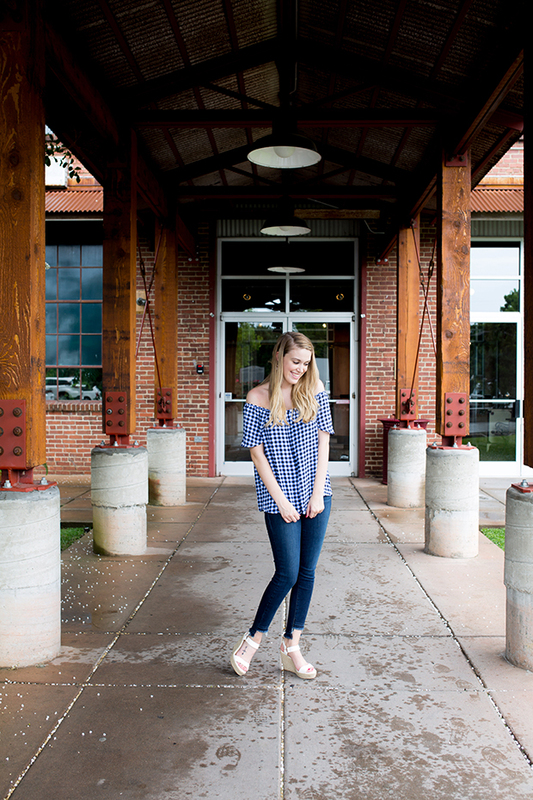 I kept it simple with my current favorite jeans, and my go to summer wedges. 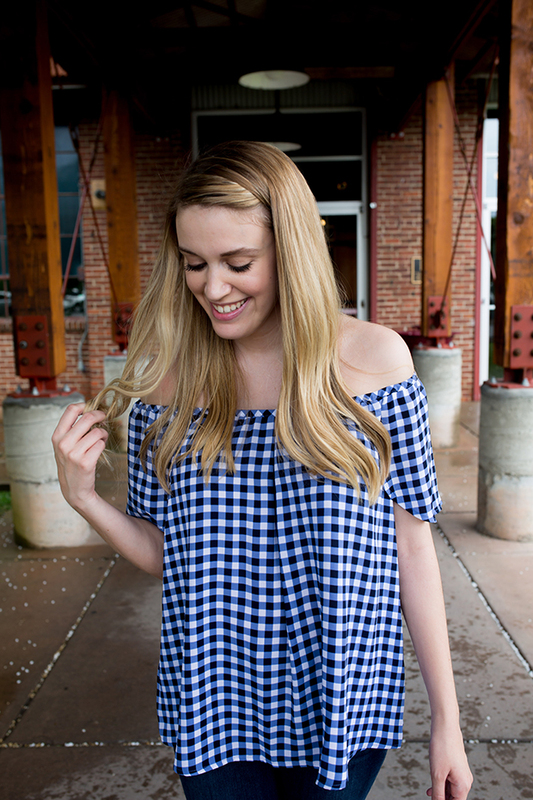 I'll definitely be having this on repeat until cold weather hits! 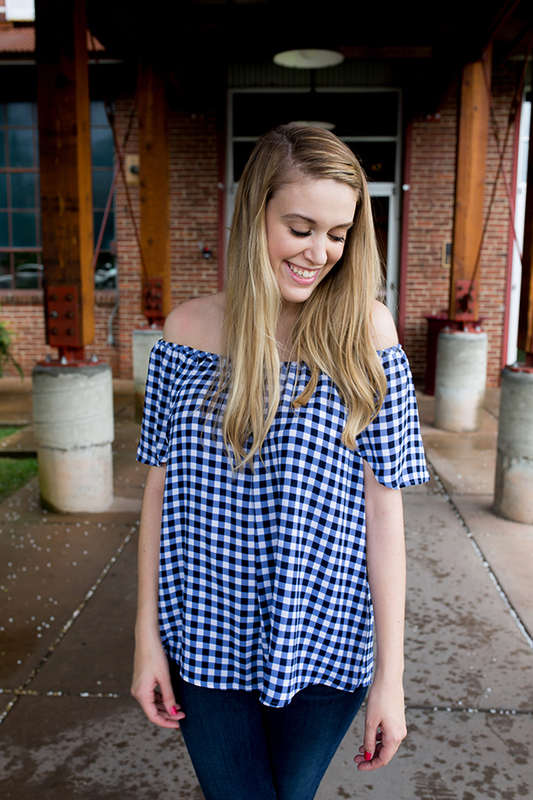 What do you think about gingham?